Quixot Multimedia brings an ultimate guide for your kids to learn multiplication tables. All you parents will agree that multiplication tables. 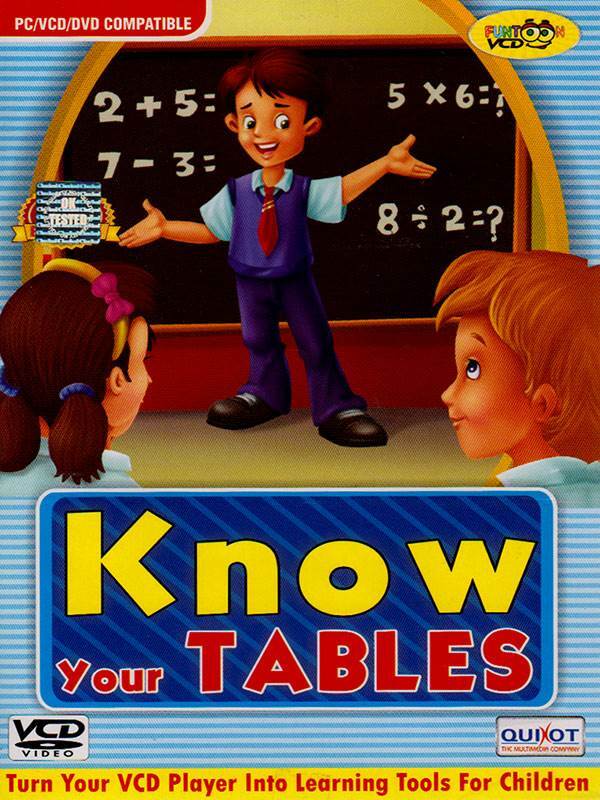 All you parents will agree that multiplication tables are tough to learn, but this VCD will make this experience simple and fun where an animated character will interact talk and sing with your child keep the multiplication tables on its finger tips and enjoy the learning process as well. Multiplication tables from one - Twenty five with an animated character to add fun and frolic to the learning session.